Earlier this year, in an initiative taken to build an open-source exhibit that would, in a very à propos fashion, be titled ABC: MTL, the Centre for Canadian Architecture launched a public call for proposals to garnish its future compendium of a city. The goal was to illustrate what makes a city iconic in a subtle fashion and what pieces of urban development and parcels of architecture make it singularly recognizable in its present form, in its perspectives, and for the future. The exhibit is the third part in a series of shows that the CCA has put on in the past 20 years. The first part, Montréal Métropole: 1880-1930, was launched in 1998 and the second, Montreal Thinks Big, was showcased in 2004. According to the description of the exhibit, Montréal Métropole 1880-1930 considered the upbringing of a city and what makes it, over the span of time, “the behemoth of trade and industry at the turn of the century.” On the other hand, Montreal Thinks Big considered Montreal’s response to its growth and increasing population with respect to the infrastructures of the city. 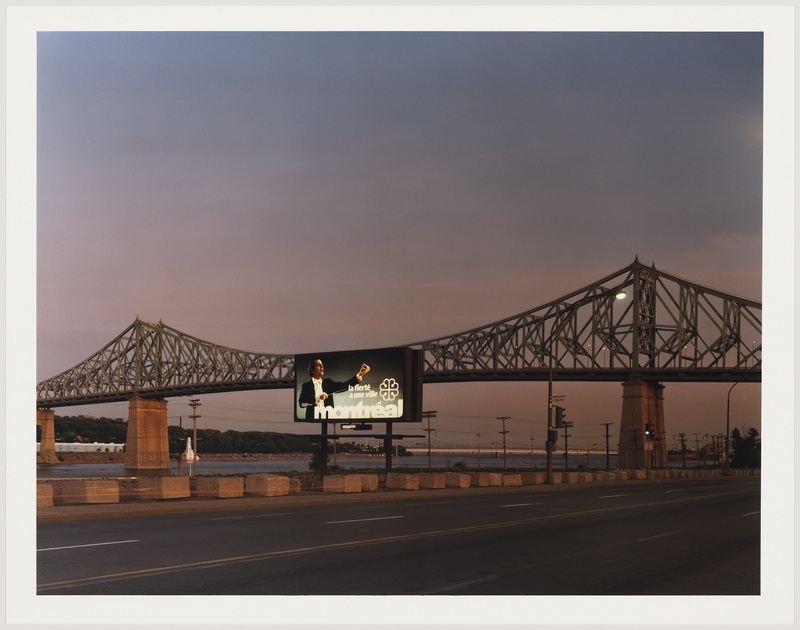 Although it is equally concerned with our city, ABC: MTL is unique in the sense that it is the first of the three exhibits to focus on our city in the here and now. The open source project launched on Nov. 15 after months of proposal gathering and selection processes. The result is an amalgam of photography, architecture recommendations and typographic illustrations, all of which coin Montreal oh so well. Divided into diverse parts of the city, the exhibit focuses on areas and topics that characterize it as a whole. For example, one corner of the show explores and considers the indoor and underground world of Montreal. Artists individually consider the forgotten or exploited areas of our city, from the organization of our alleys to how we utilize the underground to showcase artistic installations. 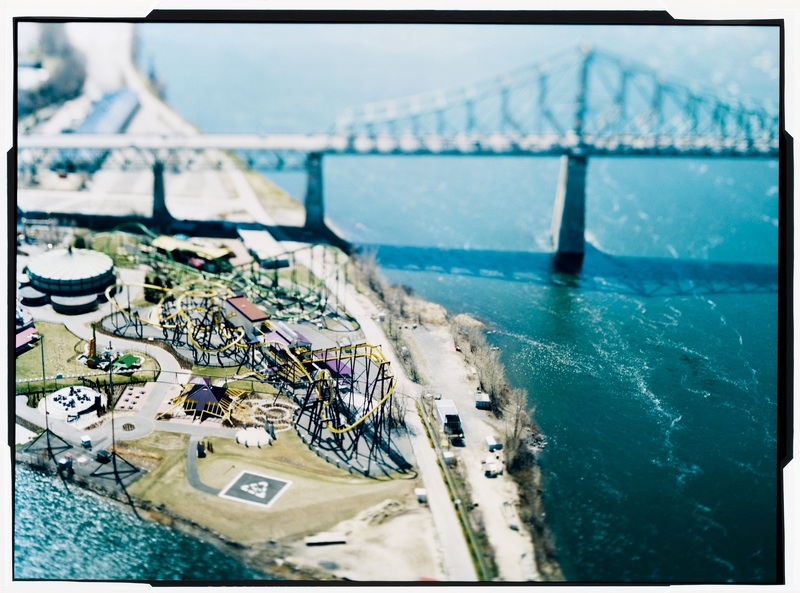 Olivo Barbieri, Aerial view of La Ronde amusement park and the Jacques Cartier Bridge, Montréal, 2004. Sprawled throughout the exhibit, visitors will find statistic indicators, printed boldly in black and white, which contrast the overall qualitative feel of the exhibit. The numbers paint a portrait of a city that is constantly busy, constantly in movement. Abandoned buildings, alleyways, hotels, and bridges — everything is taken into account. As a viewer of this exhibit, what’s fascinating to watch is how artists’ visions and approaches to the city can be totally different. On one hand, you’ll have an artist who, via panoramic photography, will depict how citizens are utterly engulfed by the traffic and movement that surround the intersections of our city. Fewer than two steps away, all in the same exhibit, another photographer attempts to showcase the human side of one of our city’s misrepresented institutions, focusing exclusively on portraits of police officers in the face of demonstrations on police brutality. The idea is that the visions of a collective will make their city iconic. Regardless of traffic, institutions and architecture, a city, no matter how busy, will always be what its citizens make of it. ABC: MTL runs until March 31, 2013 at the Canadian Centre for Architecture, 1920 Baile St. For more information visit cca.qc.ca.